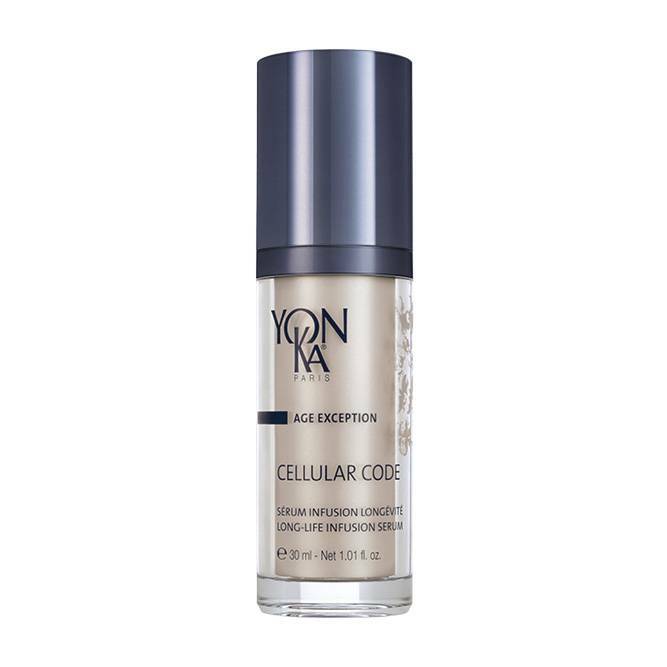 Like an elixir of youth, this smart serum - 7 patents - helps improve the skin’s natural ability to regain new energy. A silky texture, a delicate scent and exceptional results: skin is visibly radiant, younger-looking, appears firmer and more toned. Signs of fatigue and the appearance of wrinkles are diminished. At the heart of this serum is the Cell-Energy Complex, a blend of extraordinarily powerful natural ingredients. Cell-Energy complex (lipoaminoacid, garden nasturtium, D-ribose, baicalin), essential oils of bergamot, lemon, mandarin, rose, tonka bean and guaiac wood, Quintessence Yon-Ka*.